Home How To Clean Battery Terminals With Baking Soda? How To Clean Battery Terminals With Baking Soda? If you an everyday driver, keeping your automotive battery in top shape is a must. It will help you avoid dealing with a dead car battery issue that may leave you stranded in the middle of nowhere, and it will ensure that your battery will provide the performance that you need. However, part of keeping your battery in shape is giving it the maintenance that it needs to keep it in check and clean all the time. Keeping it from sulfation and corrosion that can be the primary factor that will lead to its death. This article will provide you the information that you need for lead-acid batteries. Information about sulfation and corrosion, and why they are the primary cause of a battery’s demise. It will also guide you on how to clean battery terminals with baking soda that will help you keep your battery from being sulfated or corroded. To help you keep your automotive battery in top shape and battle sulfation the right way. This article will also provide you the proper steps on how you can make use of baking soda to keep your battery terminals and battery panels clean all the time. Sulfation is a condition where lead sulfate is formed or deposited on battery panels and terminals that cause them to lose their ability to store charge. If this condition is left untreated, each battery panel will have a buildup of lead sulfate that will eventually render each of them useless. Same as corrosion, this condition can happen over time, and with enough buildup of lead sulfate, it will eventually cause the battery’s demise, rendering it useless and dead. There are plenty of ways on how to battle sulfation, but there are two main methods of this. The first option is by using battery chem which is a solid additive. It is dropped into the battery’s cell and the chemical reaction will break down the sulfate buildups within the battery. The other method is by using the Epsom Salt solution to clean the battery panels where a solution is used to slowly break down the sulfate buildups. Then there’s the method which keeping the battery clean to prevent sulfation from happening. This is a pretty easy and affordable method that you can add to your monthly maintenance. As mentioned earlier, one of the best ways to battle sulfation and corrosion is to keep your battery clean on the outside and the inside. And one of the best ways to effectively clean the external terminals of your battery is by using baking soda. If you don’t have any idea of to do this, here are the specific steps that you have to follow to clean your battery terminals with baking soda successfully! If you are working with battery, it is imperative that you wear the proper protective gears that will protect you from the battery acid. So, for the first step for you is to make sure that prepare all the materials that you need and then prepare the safety gears like goggles and gloves. With regards to the materials, make sure to prepare an old toothbrush, a wire brush, a piece of cloth, screwdrivers, baking soda and water. 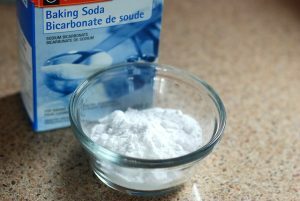 The next step you will have to take is to prepare the baking soda solution that you will use for the entire cleaning prices. 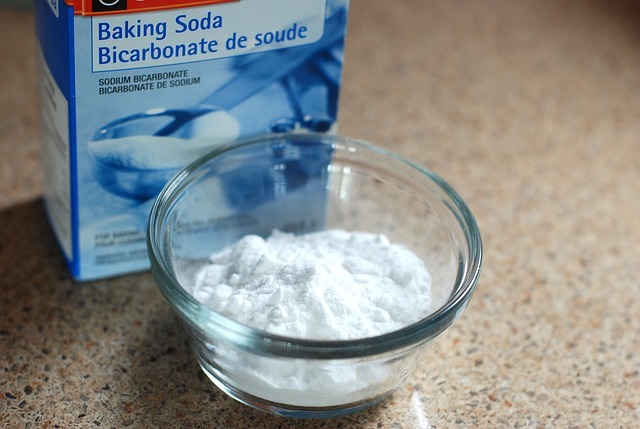 You can make your solution by dissolving six tablespoons of baking soda on four cups of water. Make sure that the baking soda is completely dissolved in water to have a potent and powerful solution that can get rid of all the corrosion that might be on your battery terminals. Then you will have to prepare the battery that you will be cleaning by disconnecting all the wires on your car battery. Unscrewing the power cell from the car’s battery tray and removing it from the hood of your car. Once the battery is on the ground, give it a quick physical inspection to see if there are leaks in the housing of the battery. This is to make sure that the battery doesn’t have any battery fluid leaking that may be harmful to you and your environment. By using the old toothbrush or wire brush take some of your baking soda solutions and rub it on your battery terminals. If bubbles start to appear on the spots where you applied your solution, that means its working and starting to do its magic. Make sure to scrub everything off the terminals of your battery to make sure that they are completely free from corrosion that may cause a lot of issues in the future. After getting rid of the corrosion in your battery terminals and made sure that both of them are perfectly cleaned. You can now rinse the battery terminals with water and using the piece of cloth; you can wipe them off with the residue of the baking soda solution. As you can see if the terminals are thoroughly cleaned or if you need to redo the step for the second time. If the exterior of your battery is well-cleaned, then it is good to go. Now that your battery is all cleaned up and wiped out dry, you can now take petroleum jelly and apply some of it to both the terminals of your battery. This a good way of keeping protected from the future corrosion that may occur over time. This step is a proven and tested method of protecting battery terminals from corrosion. Finally, you have to return the battery on the car’s battery tray. Make sure that it is firmly attached to the tray so that it won’t be damaged during rough rides. You also have to reconnect the battery to the car. To be sure you are doing it the right way, consult your vehicle’s user manual. 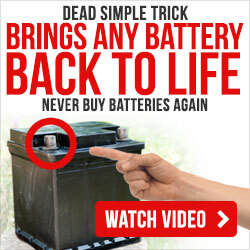 Read how to refurbish a dead car battery to not buy a buttery again! That is how you clean battery terminals with baking soda. Keep in mind that it is just way to fight against sulfation and corrosion. It doesn’t guarantee that your battery won’t suffer the condition. So make sure to give it a regular check to make sure that everything is OK.
Our website provides an information on any battery tips, to also learn about how to recondition your old batteries, then you may want to read through our guides!